La Oficina de Competencia de Canadá ha terminado su investigación sobre el supuesto comportamiento anticompetitivo de las tres líneas aéreas principales de Nunavut, y la agencia independiente anunció que no encontró evidencia suficiente para presentar cargos bajo la Ley de Competencia de Canadá sobre guerra de precios predatorios que supuestamente ocasionó la quiebra de Go Sarvaq no cumplen con una prueba legal. Las alegaciones dejadas tras la admisión por la Oficina de la Competencia de que los descuentos sin precedentes para pasajeros entre Iqaluit y Ottawa, que First Air y Canadian North ofrecieron en mayo de 2016, “probablemente” contribuyeron a la desaparición del operador de Go Sarvaq de corta duración de Iqaluit en mayo 2016. “Aunque la Mesa estima que las presuntas promociones predatorias de precios de First Air y Canadian North probablemente repercutían en los planes de entrada de Go Sarvaq, la Oficina no encontró pruebas suficientes para concluir que éstas eran anticompetitivas”, concluyó la Oficina en un informe del 22 de agosto y un comunicado de prensa adjunto. Go Sarvaq canceló su propuesta de ruta aérea Iqaluit-Ottawa-Halifax antes de que su primer avión saliera de la pista de Iqaluit, después de una guerra de precios de primavera por parte de First Air y Canadian North los expulsó del mercado. Después de que Sarvaq se doblara, los tres principales ejecutivos de la aerolínea de Nunavut comparecieron ante una asamblea especial de caucus en la legislatura de Nunavut, pero se mostraron sin disculpas cuando los MLA asaltaron a las aerolíneas por disminuciones en el servicio de pasajeros. El gobierno de Nunavut, la ciudad de Iqaluit y Go Sarvaq presentaron quejas oficiales ante la Oficina de la Competencia , algunas de las cuales datan de 2015, cuando se anunciaron acuerdos de codeshare entre First Air y Canadian North y First Air y Calm Air. En su informe final, la Oficina dijo que investigó tres presuntos abusos bajo la Ley de Competencia de Canadá: La fusión entre First Air y las aerolíneas de Calm Air y su impacto en el servicio de carga y pasajeros en Kivalliq; el ya desaparecido acuerdo de codeshare entre First Air y Canadian North en 16 rutas del norte; y alegaciones de precios predatorios por First Air y Canadian North en la ruta Iqaluit-Ottawa. El informe de la Oficina dijo que abandonó su investigación sobre el código compartido entre Canadian North y First Air después de que las aerolíneas anunciaran en noviembre de 2016 que eliminarían la práctica en la primavera del año siguiente. Pero ese anuncio se produjo sólo días después de que el Buró de la Competencia dijera que había presentado solicitudes en el tribunal solicitando que First Air y Canadian North entregaran documentos y registros. La Oficina también concluyó que los beneficios regionales de la fusión entre Calm Air y First Air “superan significativamente sus efectos anticompetitivos”. En un acuerdo firmado en 2015, First Air acordó abandonar la mayoría de sus operaciones en la región Kivalliq de Nunavut, pero arrendó su avión a Calm Air para operar 13 vuelos semanales entre Winnipeg y Rankin Inlet. First Air también fue autorizado bajo el acuerdo para vender asientos en los vuelos de Calm Air dentro de la región de Kivalliq a través de un código compartido. La mesa llegó a la conclusión de que la “fusión probablemente dará lugar a ganancias de eficiencia significativas” y mejorará la viabilidad financiera de ambas aerolíneas después del análisis. Poco después de la publicación del informe, Canadian North respondió que estaba “complacido” con la finalización de la investigación de la oficina. “Es importante destacar que la declaración de la Oficina confirma que la respuesta competitiva de Canadá Norte a la propuesta de Go Sarvaq de entrar en el mercado de Ottawa-Iqaluit como un tercero re-vendedor de capacidad de aviones cumplió con todas las leyes de competencia aplicables”, dijo Steve Hankirk. “La Oficina no encontró que los ingresos generados estuviesen consistentemente por debajo de los costos evitables promedio asociados con la operación de vuelos durante el período en que se ofrecieron las presuntas tarifas predatorias“, agregó el informe, agregando que no había evidencia de First Air o Canadian North Coordinaron sus precios contra Go Sarvaq. “[El servicio aéreo del norte] es esencial para las comunidades remotas, las empresas y los gobiernos que dependen de él para el desarrollo económico, la alimentación y la atención de la salud”, dijo Pecman. El Comisionado de Competencia, John Pecman, dijo en un comunicado de prensa que la oficina permanecería vigilante para asegurar el cumplimiento de las líneas aéreas del Norte bajo la Ley de Competencia. The Canadian Competition Office has completed its investigation into the alleged anti-competitive behavior of Nunavut’s three major airlines, and the independent agency announced that it did not find sufficient evidence to file charges under Canada’s Competition Law on predatory price warfare allegedly caused the bankruptcy of Air Sarvaq do not comply with a legal test. The allegations made following the admission by the Competition Office that unprecedented passenger discounts between Iqaluit and Ottawa, which First Air and Canadian North offered in May 2016, “probably” contributed to the disappearance of the operator of Go Sarvaq Short duration of Iqaluit in May 2016. “Although the Bureau considers that the alleged predatory pricing promotions of First Air and Canadian North were likely to impact Go Sarvaq’s plans for entry, the Office did not find sufficient evidence to conclude that they were anti-competitive”, The Office concluded in an Aug. 22 report and an accompanying press release. Go Sarvaq canceled its proposed Iqaluit-Ottawa-Halifax air route before its first plane left the Iqaluit runway, after a spring price war by First Air and Canadian North expelled them from the market. After Sarvaq doubled, Nunavut’s top three executives appeared before a special caucus assembly in the Nunavut legislature, but they were unapologetic when the MLA assaulted airlines for declines in passenger service. The government of Nunavut, the city of Iqaluit and Go Sarvaq filed official complaints with the Competition Office, some of which date back to 2015, when codeshare agreements were announced between First Air and Canadian North and First Air and Calm Air. 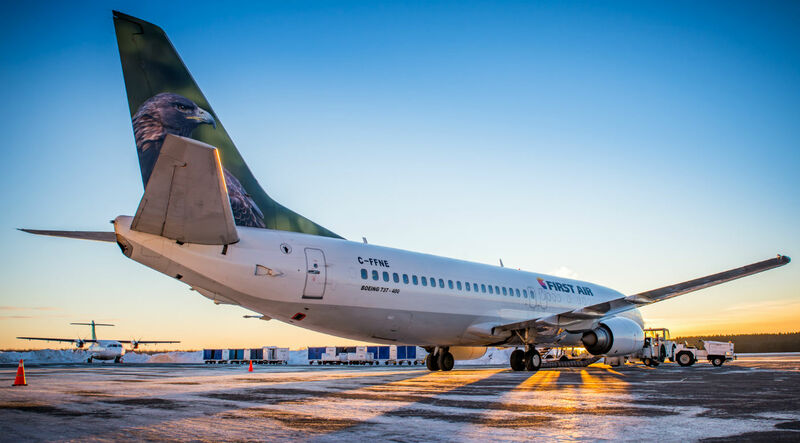 In its final report, the Office said it investigated three alleged abuses under Canada’s Competition Act: The merger between First Air and Calm Air airlines and their impact on cargo and passenger service in Kivalliq; The already missing codeshare agreement between First Air and Canadian North on 16 routes north; And predatory pricing allegations by First Air and Canadian North on the Iqaluit-Ottawa route. The Office report said it had abandoned its code-share research between Canadian North and First Air after the airlines announced in November 2016 that they would phase out the practice in the spring of the following year. But that announcement came just days after the Competition Bureau said it had filed applications in court asking First Air and Canadian North to file documents and records. The Office also concluded that the regional benefits of the merger between Calm Air and First Air “significantly outweigh its anti-competitive effects.” In a deal signed in 2015, First Air agreed to abandon most of its operations in the Kivalliq region of Nunavut, but leased its aircraft to Calm Air to operate 13 weekly flights between Winnipeg and Rankin Inlet. First Air was also authorized under the agreement to sell seats on Calm Air flights within the Kivalliq region through a code-share. The Bureau concluded that the “merger will likely result in significant efficiency gains” and will improve the financial viability of both airlines after the analysis. Shortly after the publication of the report, Canadian North replied that it was “pleased” with the completion of the investigation of the office. “It is important to note that the Office’s statement confirms that North Canada’s competitive response to Go Sarvaq’s proposal to enter the Ottawa-Iqaluit market as a third-party re-seller of aircraft capacity complied with all competition laws Applicable”, said Steve Hankirk. “The Office did not find that the revenues generated were consistently below the average avoidable costs associated with the operation of flights during the period in which the alleged predatory charges were offered,” the report added, adding that there was no evidence of First Air or Canadian North Coordinated their prices against Go Sarvaq. On behalf of Airgways® we are grateful to get in touch with us. We welcome your words of praise with great pleasure, and we are very pleased that you have been very pleased with your visit to our website Airgways.com. We strongly want to have your periodic visits, we take care of providing the best information in the world of commercial aviation. If you want you can subscribe to our website Airgways.com to get information instantly on their devices. Thank you very much for flying with us, always!